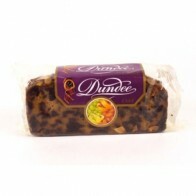 Tuck into the Dunkeld Christmas hamper and discover classic Scottish food and drink as well as a few surprises. An ideal Christmas gift hamper for couples and small groups. A Marquis de Rothburg Bordeaux nestles amongst Walker’s Shortbread, Tillyfeugh’s rich fruity Clootie dumpling, best served with Cottage Delight Brandy Butter, and Baxter’s Creamy Lobster Bisque. Salmon and Dill Pate with Walkers Highland Oatcakes will delight as part of evening drinks. Or deliciously crunchy Borders Dark Chocolate Ginger Biscuits, roasted and salted pistachios and haggis flavoured crisps served with Scotland’s finest breakfast tea will be a wonderful treat on Boxing Day. Do you think the ribbon bag of traditional sweetie favourites will last until then? 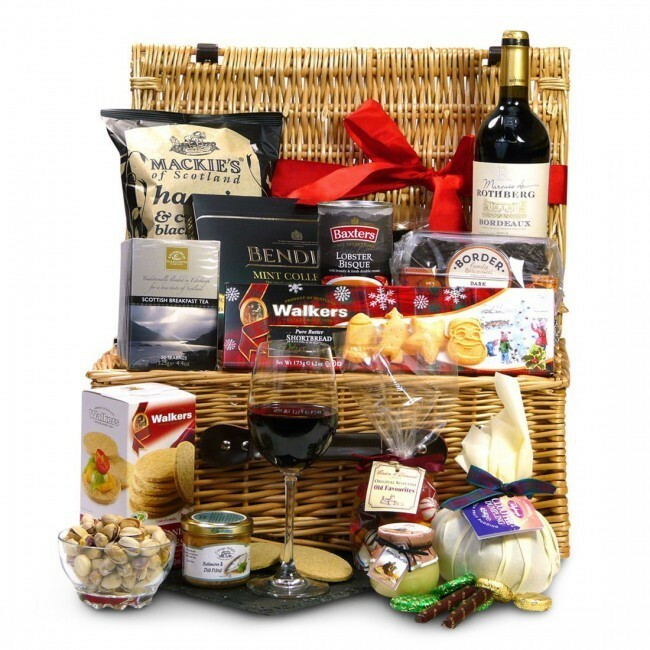 Please scroll down for a complete list of the Scottish food and drink in this hamper. The Dunkeld Hamper is carefully packed by hand in an elegant wicker hamper amd with hand-tied ribbon. Remember to tell us what you’d like written on the personalised gift card included inside.